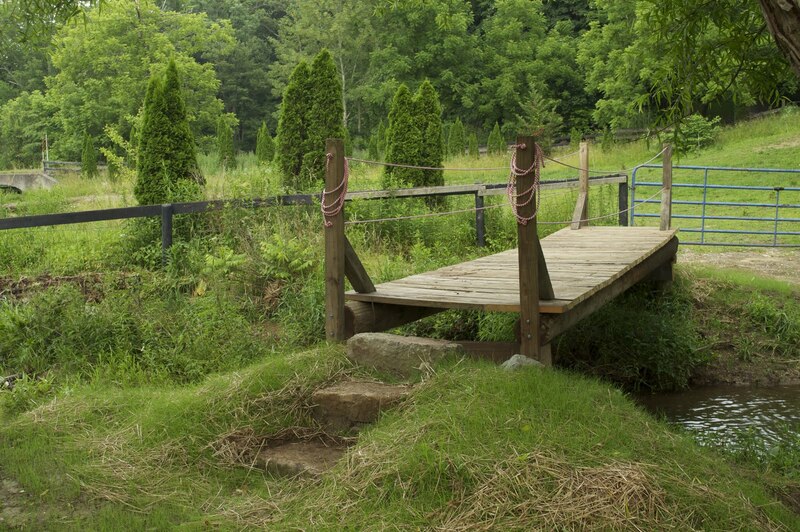 My wife needed a bridge built for here Equine Assisted Learning. We have a stream which runs through our property. Being able to take clients back to her riding ring with out getting their feet wet was a small ticket to fill. I started with the building a walk bridge. I was able to find all reclaimed materials. I picked up 2 telephone poles 18 ft long. Our neighbors had given us a old lumber from a deck they removed. The posts which hold the telephone poles are fence posts. The bridge was a blast to build. I had never created any thing like it. But simply used a little common sense. A few string lines with a line level, rebar to stake the telephone poles to the vertical posts and some screws. All and all just a day's work. Then came time for the steps. What to do? With the stream flooding at any given time, horses wondering around. I had to come up with something. 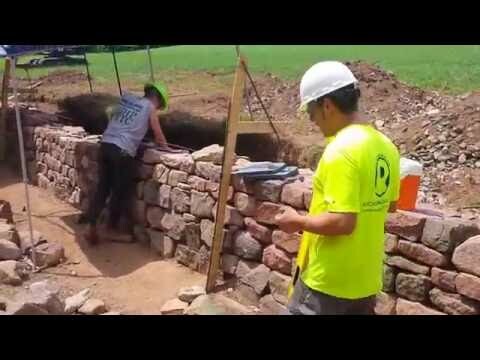 I walked the farm for a half day thinking how great it would be to build with stone. 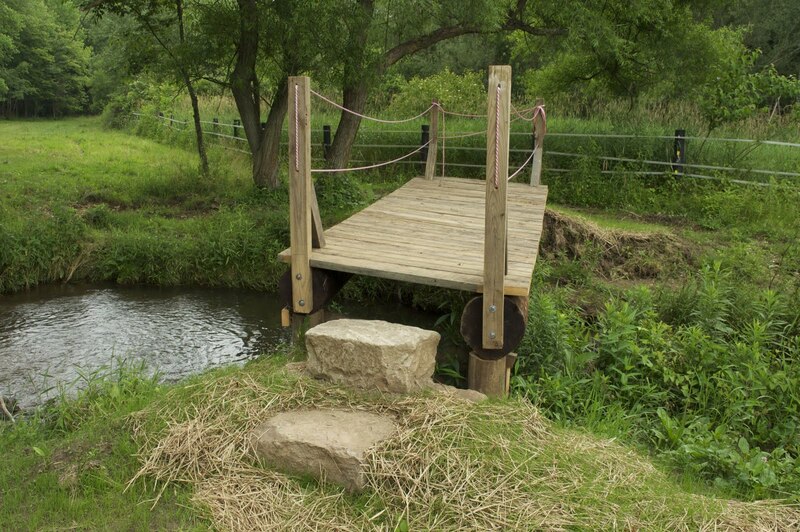 BUT I didn't want to create a work of art which could take more time to build then the bridge. I just needed a simple solution. I found the answer, several stones I had put aside in hopes of building steps. I passed over them several times thinking I need to save these. But after coming to terms I asked why? This was just what I needed. 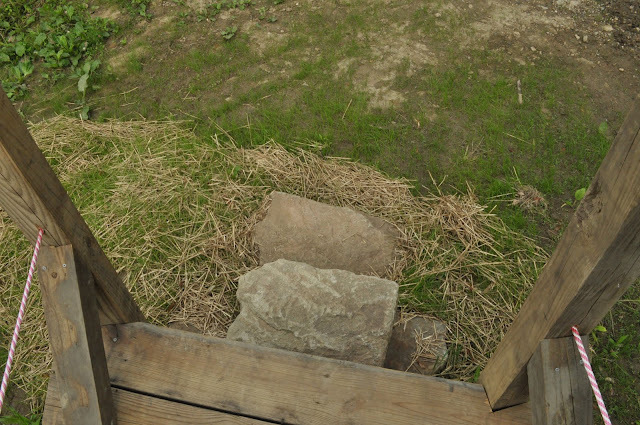 Wooden steps, dirt, boulders...ect just didn't make sense. This was the perfect fit. If you clicked on the link above you will understand. Why? Healing and Teaching with Horse power. Equine Assisted Therapy could best be described as helping People Heal throw Horses. Why would my large stepping stones be the perfect match? They create the feeling of strength and confidence due to there size. 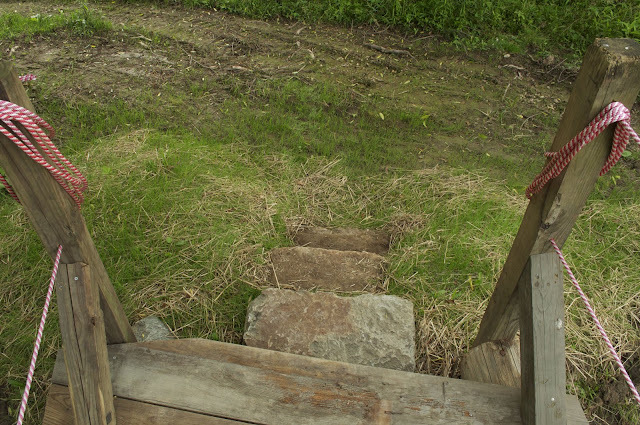 One will make the trip up the steps and over the bridge and back down the steps to reach a place to help them heal. Life is about taking the steps to move spiritually from one place to another. If we don't take those steps we will fall down.